A paper, prepared for the upcoming IARU Region 1 conference, raised another alarm bell for me. Although up till now, no wind farms are near my QTH, but from the IARU paper, it can be learned that wind farms cause interference at distances up to several kilometres! Here is the report:Radiated RF emissions from wind farms. The report shows that you have to be kilometres away from the farm for the noise levels to be acceptable. An amateur, living about 4.5 km away from the farm, saw his noise level rise from about S2 to about S9+20 after the farm was started. Another report was found on the internet originating from New Zealand. The Quartz Hill receiving station was originally used to receive short wave broadcasts. In 1997 the Wellington Amateur Radio Club took over the the site. The low noise level was one of the key assets of the location. In 2007, the station was dismantled to make way for a wind farm. 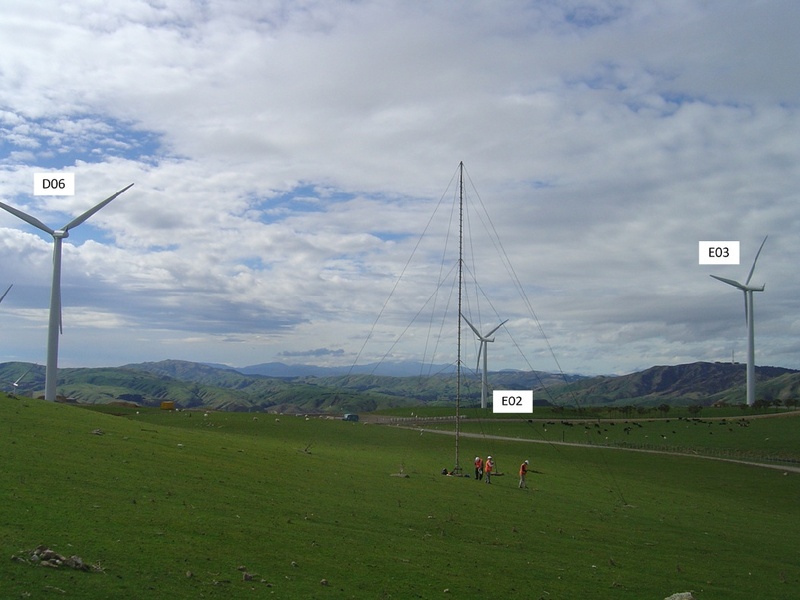 After the wind farm was completed, amateurs visited the site to take measurements. The report shows a similar finding. The separation has to be in the range of kilometres! Some searching on the internet revealed that turbines with variable speed are using a power convertor that translates the variable frequency and voltage of the generator to the fixed voltage and frequency of the grid. It is likely that these converters are the source of the interference. Installations that use fixed speed turbines and which do not use power converters, seem to be “clean”. Both reports state that the noise level varies with the movement of the turbine blades, which indicates that the tower and blades operate as an antenna.